An educational project and exhibitions under the auspices of Ateliers Reza (Reza’s Workshops) in Toulouse. Over the course of teaching others about my photographic experiences and projects all over the world, I strongly emphasize that a camera is a tool to bear witness. At the Ateliers Reza in Toulouse, I saw a glimmer in the eyes of young Sabah at each technical training session. She did not necessarily seem driven by the desire to become a photographer, but was interested in expressing herself and telling her story. 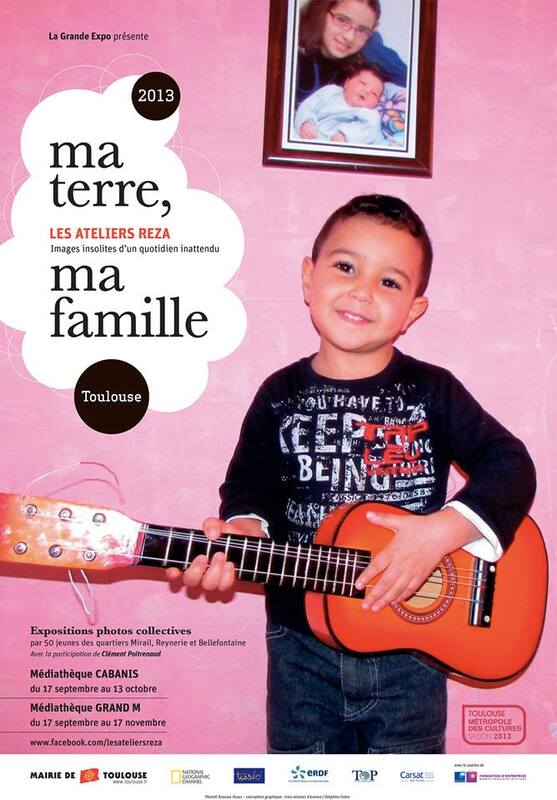 As part of the Mois de l’Image in Toulouse, Ateliers Reza invites you to visit the exhibition “My Land, My Family” from September 17th to October 13th at the Jose Cabanis Media Library, from September 17th to November 17th at the Grand M Media Library. This collection of work is the fruit of the photographic labor of forty-some young people from Reynerie, Mirail and Bellefontaine. From March to September they have been trained by professional photographers, supervised by Reza. This project is an initiative of the City of Toulouse. For more information, join the Ateliers Reza.